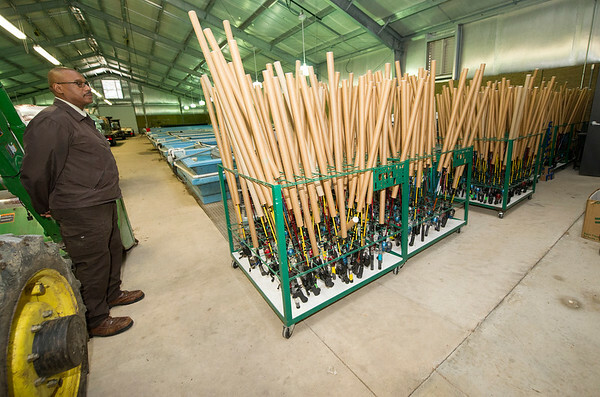 Neosho National Fish Hatchery Acting Manager Roderick May stands next to the 500 fishing poles supplied to guests at the annual kids' fishing derby. Outside poles are not allowed because they may contain disease from other waters. Bait for the event also is supplied by the hatchery.